New Orleans, LA – Matthews Southwest Hospitality, LLC, a national hospitality industry developer based in Dallas, TX, today released an initial conceptual design of the proposed headquarters hotel that would be attached to the New Orleans Ernest N. Morial Convention Center, giving the public a first glimpse at the proposed exterior of the $558 million addition to the city’s hospitality inventory. In addition to Matthews, the Project team includes Preston Hollow Capital, Provident Resources Group, The Convention District Development Associates and Omni Hotels & Resorts. 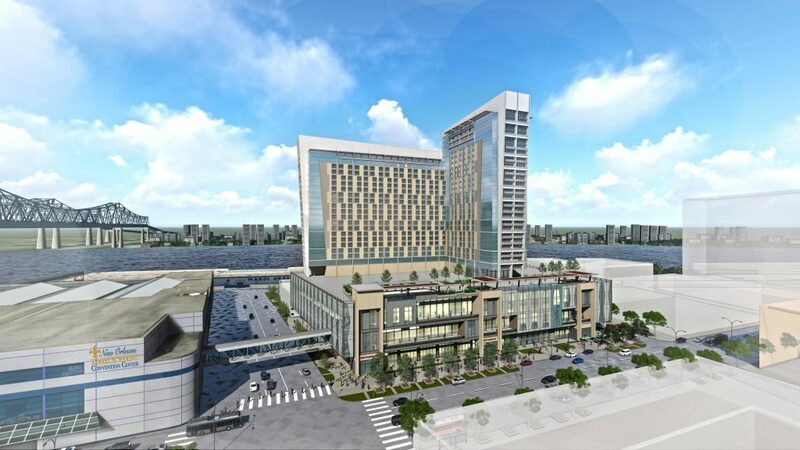 Plans call for the 1,200 room Omni Hotel to be located on Ernest N. Morial New Orleans Exhibition Hall Authority/State-owned property connected to the Convention Center. Omni Hotels & Resorts is a market leader in the operation of Convention Center hotels in the US, with the addition of 5,500 rooms since 2010 in markets such as Dallas, TX; Nashville, TN; Louisville, KY; and Ft. Worth, TX. The luxury brand currently has Convention Center hotels under construction in Boston, MA, Oklahoma City, OK and soon-to-be Ft. Lauderdale, FL. Negotiations between the Authority and the Project team are in their early stages and are expected to be completed by early next year. Jack Matthews, Chairman of developer Matthews Southwest, praised the development team and spoke to the project’s transformative impacts, “Our team, working closely with Nunzio Marc DeSantis Architects, is committed to building a world-class destination hotel in New Orleans that will enhance the local community and create a new destination for its visitors,” concluded Matthews. According to an independent analysis commissioned by the Authority, the new headquarters hotel will begin generating an annual economic impact of $282 million, $18 million in new taxes for the City of New Orleans, $6 million for the State of Louisiana, as well as supporting over 1,900 new jobs. The new hotel will complement the current redevelopment of Convention Center Boulevard into a pedestrian-friendly outdoor arts and entertainment area, further stimulating additional private investment in dining, residential housing, and retail development. “The design of the new convention center headquarters hotel has to be spectacular in order to deliver on its full potential and we are both excited and enamored with the initial design concept provided by Matthews Southwest. 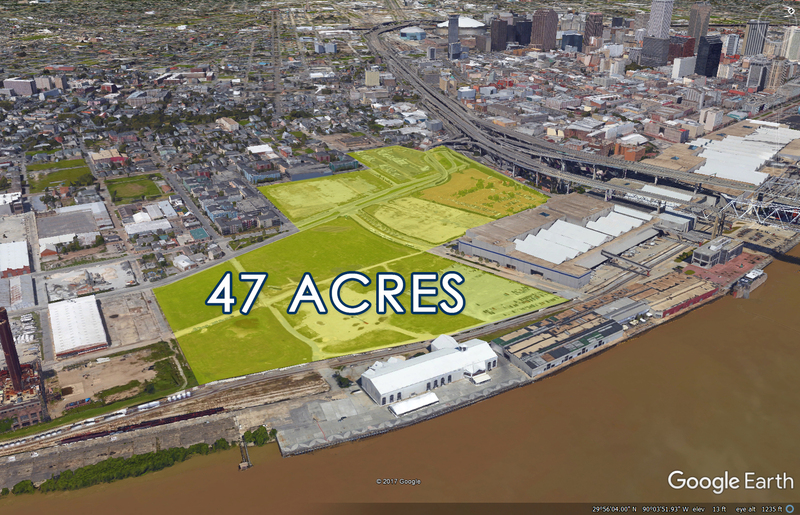 We are very confident that the new hotel will be a catalyst for more new development and investment in an area upriver from the Convention Center and deliver vital new taxes to the City of New Orleans and State of Louisiana,” said Melvin Rodrigue, Chair of the Ernest N. Morial New Orleans Exhibition Hall Authority. The independent analysis of the project concluded that the hotel would induce significant new room night demand and dramatically improve the occupancy of the exhibit halls on the upriver end of the convention center. The pre-development terms are currently being established that will guide the formal negotiations. The new headquarters hotel could be ready to welcome guests as early as spring of 2023.